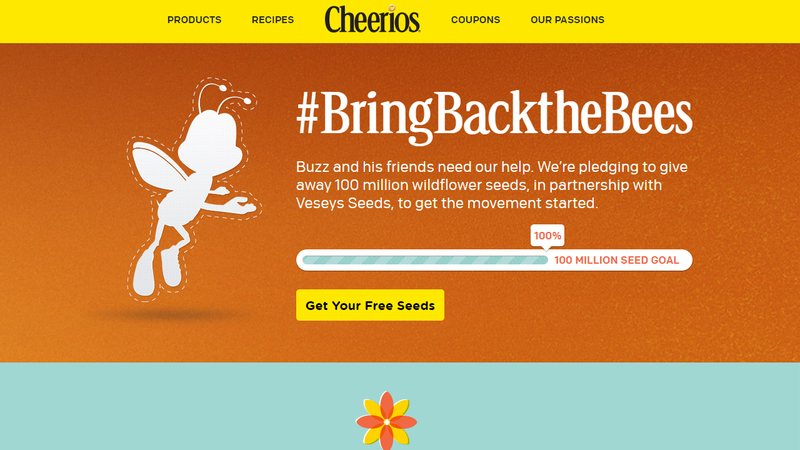 Cheerios wants your help to bring back the bees. You may have noticed that Buzz the Cheerios mascot has been missing. The cereal is using his absence to raise awareness of dwindling bee populations across the United States and the world. According to the Natural Resources Defense Council, 42 percent of bee colonies in the U.S. collapsed in 2015. Anyone interested in helping is asked to use the #BringBacktheBees hashtag on social media and to sign up on the Cheerios website to receive 100 free seeds. You're asked to plant the seeds in a bee-friendly area.